Tharangambadi, 'dancing waves' in Tamil, was once a small village on the Coromandel coast in south-east India. In 1620, a Danish admiral, ambassador of the King of Denmark, arrived here to study pepper trade options. The Danes christened the village 'Tranquebar' and erected a distinctive Danish Fort, 'Dansborg'. In the 1690s many Danes bought houses in the area and gradually a small Danish township took shape, with a Tamil colony beyond. 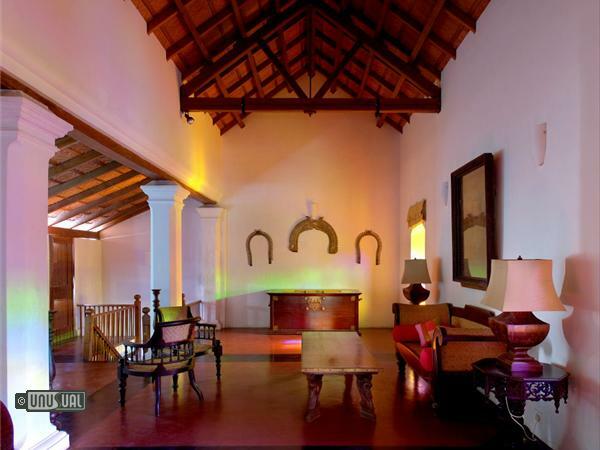 The fort still stands as a protected monument and the Gate House has been restored as an example of indigenous Tamil architecture with red tiled roofs and 6 rooms surrounding a central courtyard. 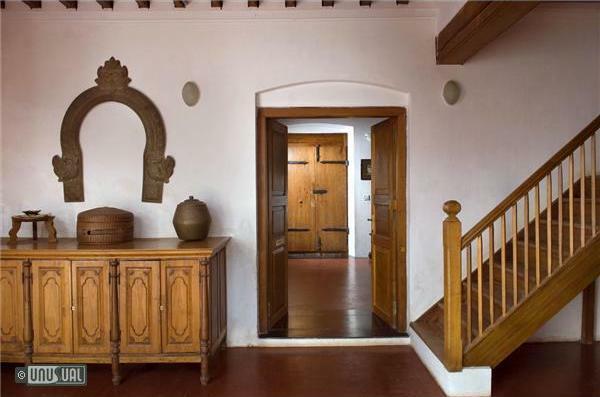 A traditional Tamil house, with period teak fittings and a pool! Today you can drive in through a beautiful gate of the majestic King Street, past Lutheran churches and grand bungalows of the Danish Governors and the British Collectors. You can also visit the temples of Kumbakonam and Tanjore. The town remains a glorious tribute to architecture from across the world. It was at Tranquebar, that in 1715 India’s first printing press produced a handy Tamil translation of the New Testament! The Gate House, just by the gateway to this haloed world of white homes and Lutheran churches, is a palm-ringed property with a cooling pool now laid in its court at the back. 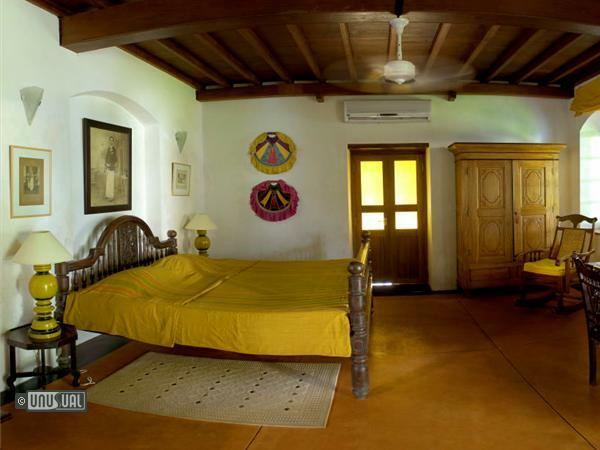 The rooms are traditional but refurbished with fine pieces of collector’s art and furniture in a contemporary, uncluttered feel. 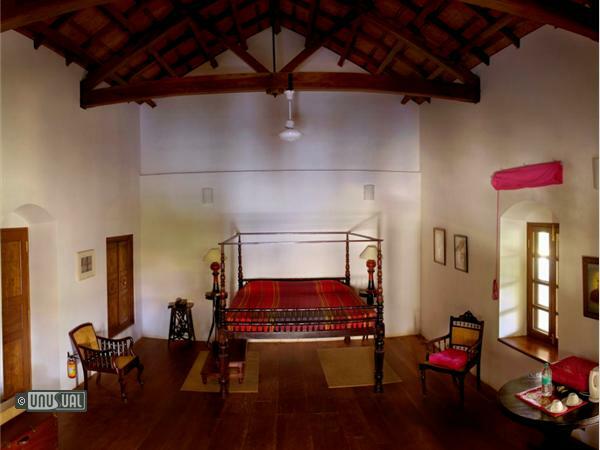 Bedrooms are named after the temple cities of the region, Srirangam, Kumbakonam, Darasuram etc. with high ceilings keep the rooms cool in the summer. From doors to pillars, chairs and tables to cots and almirahs, every item is an authentic period piece. The courtyard, corridor, stairway and rooms lend a feeling of space, privacy and pampered luxury. 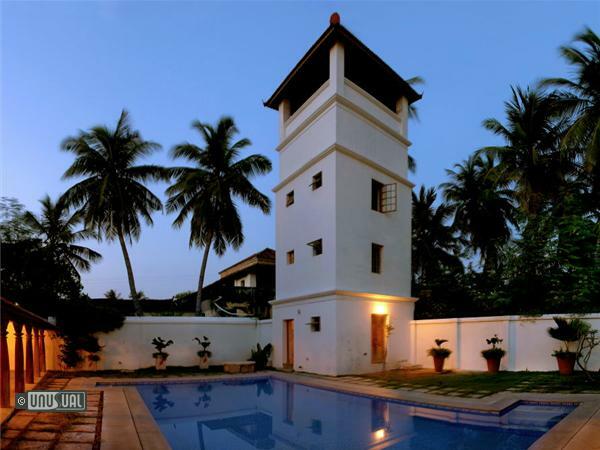 The gentle breeze of the sea – barely a 10 minute walk away – and the intoxicating smell and sight of vintage teak wood furniture, sepia-toned photographs, paintings and artefacts, make the ‘Gate House’ a perfect example of conservation. Bathrooms are of a high standard with modern facilities. Rooms have Coffee (instant) and tea facilities, but the bar and all meals are taken in the Bungalow on the Beach property, 5 minutes walk away. 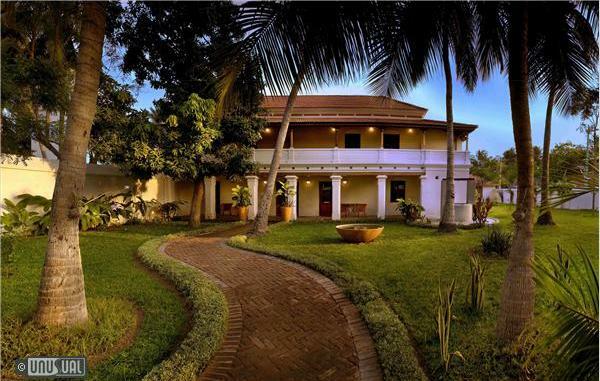 Named after the famous temple city of Tamil Nadu, Kumbakonam is located on the ground floor of Gate House and has views of the front garden with direct access to the front veranda and the court with the swimming pool. 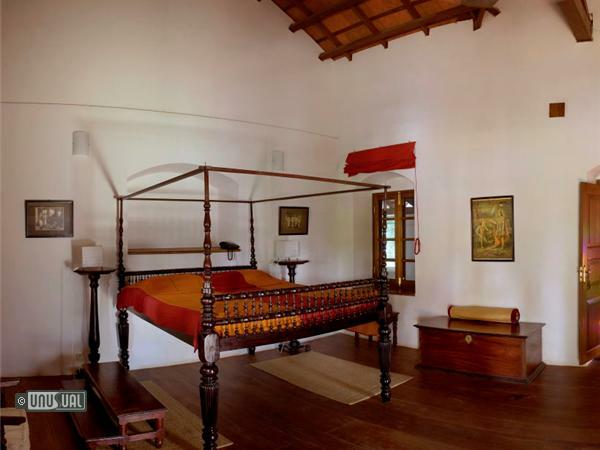 It is a medium-sized room with a high, four poster double bed and a raftered roof. Blue and yellow fabrics dominate the interiors of the room. 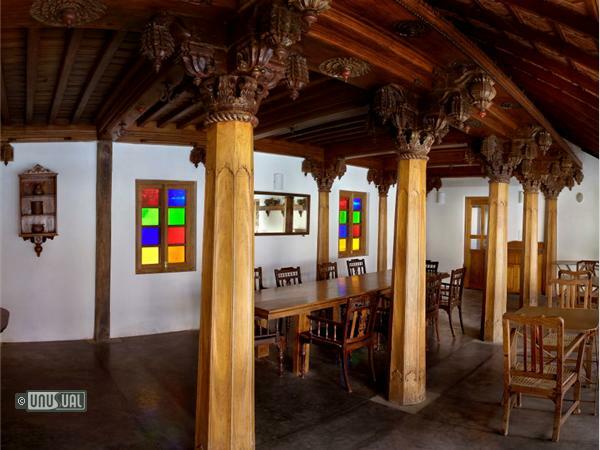 Named after the town of Tamil Nadu which is famous for its temple dedicated to Nataraja, Lord of Dance, Chidambaram is a huge suite located on the ground floor with a private garden at the back. The main room has bright orange interiors and a queen size bed. The ante room has a high four poster double bed and has been done up with textiles in blues. There is a large bathroom which has separate access from each room through a private veranda. 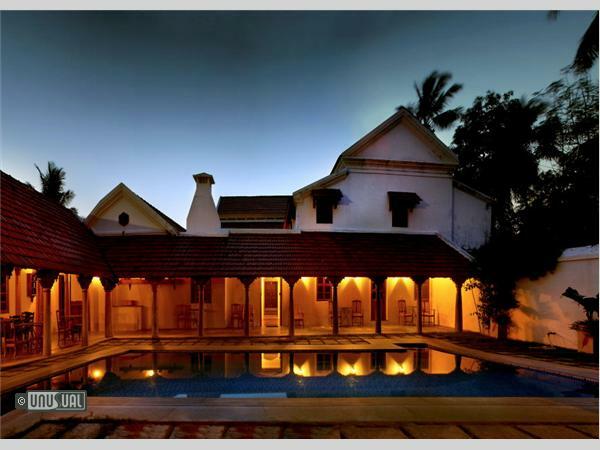 Named after the temple town of Srirangam in Tamil Nadu, it is one of the two rooms situated on the first floor of the Gate House and its main access is from the open-air private lounge overlooking the pool. 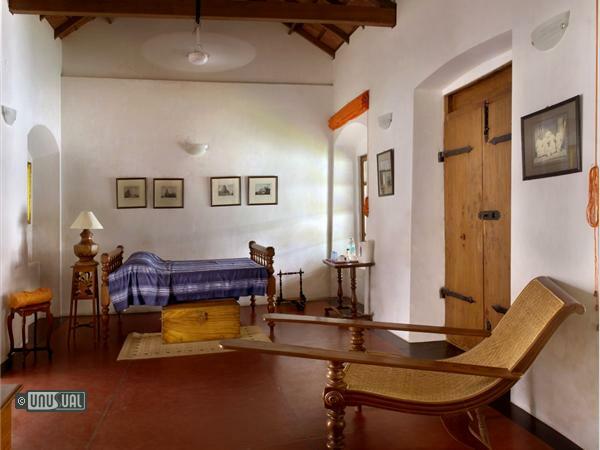 It is a spacious room done up in mustards and reds with a high king-size bed and a raftered ceiling with terracotta tiles. 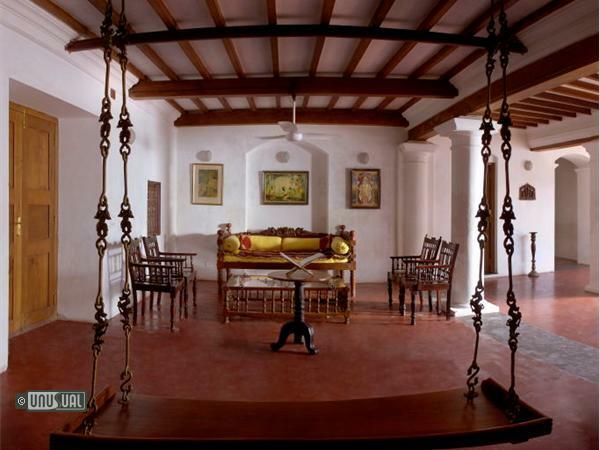 It has views of the garden in front and the pool at the back and can be booked along with Darasuram with which it is conveniently interconnected through the front veranda. 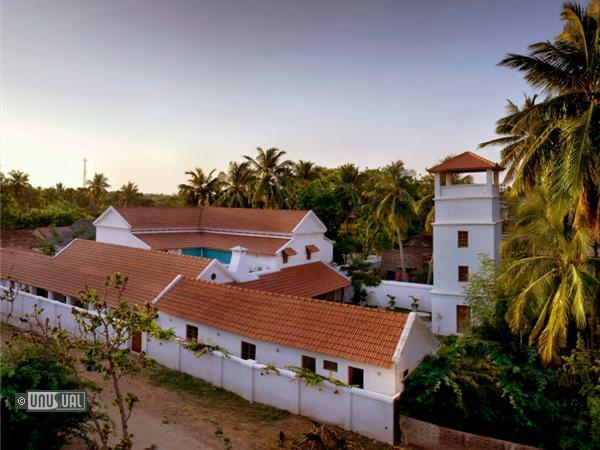 Tharangambadi – the land of singing waves or 'Tranquebar' as christened by the Danish brings 400+ years of history to life, mixing Lurtheran church values, with the spice trade and a British colonial rule, with the lively local Tamil culture. The Dansborg Archaeological Museum situated inside the fort holds a collection of curios and artefacts dating back to the Danes. It also has fossils of early centuries, coins, fish bones, Chinese porcelain and weapons. Rare paintings of Maratha kings and palm leaf manuscripts are also stored here. 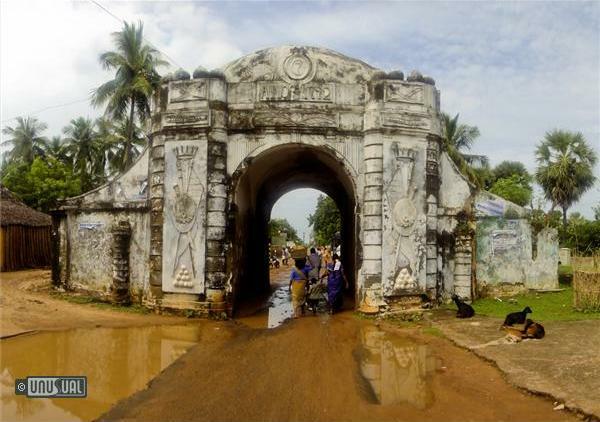 The 700 year old Masilamani Nathar Temple built in 1306 by the Pandya King Maravarmam Kulasekara Pandyan is unique in its architecture. It was built combining Chinese architecture with Tamil architectural technique, possibly in an attempt to attract Chinese merchants who were visiting India. It touches the pool edge of the property and is no efforto visit. Boat trips may be organised along the coast, with possible visits to fishing villages. The fishermen are very friendly and you can visit their homes. The Uppanar River is a perfect venue for bird watchers. A small uninhabited island gives the option for a lunch stop.